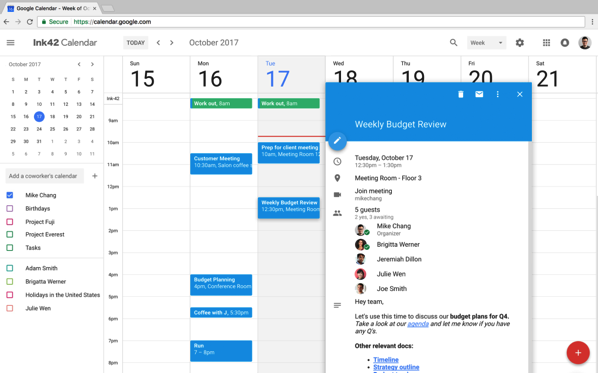 Besides rolling out a handful of new features for G Suite users, Google has today given its Calendar web app a welcome design refresh which makes it look more in line with the native mobile app. 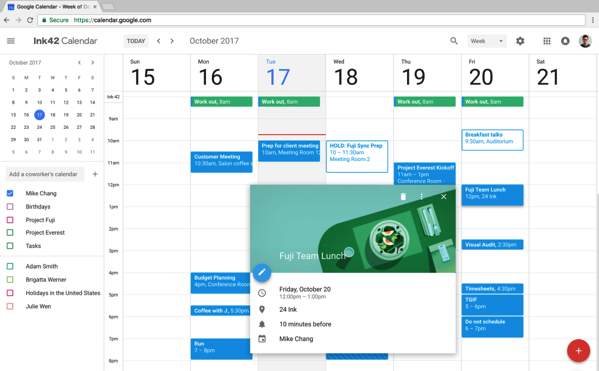 As pointed out by VentureBeat, the updated Google Calendar for web now sports a cleaner colour palette and a responsive layout that automatically adjusts to whatever screen you’re on. 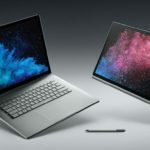 Other notable updates rolling out to Google Calendar on the web today include the ability to manage multiple calendars side-by-side while in “day” view, which could prove useful for personal assistants and admin staff who have to schedule meetings on behalf of other people. Starting today, G Suite admins can include details about specific meeting rooms at the organization, such as a room name, where it’s located, its capacity, and facilities such as audiovisual equipment. Furthermore, Google has now made it possible to view contact information for meeting participants when you hover over their names in a Calendar invite, and invites can also now be configured with rich formatting and hyperlinks. G Suite admins can enable the new business-focused features from today, while individuals can access the new Calendar interface through the settings in the upper right-hand corner of the main view.